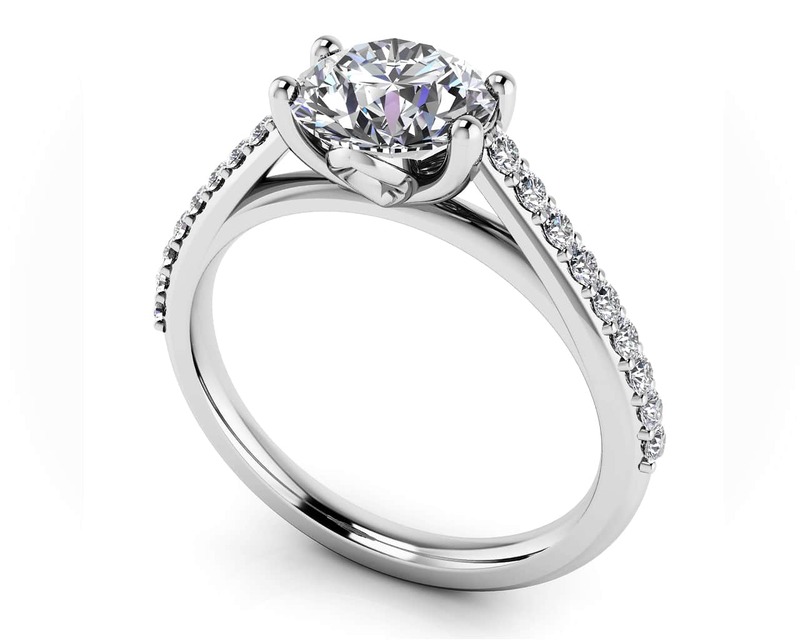 The modern design of this classic round cut diamond engagement ring is as unique as your love. 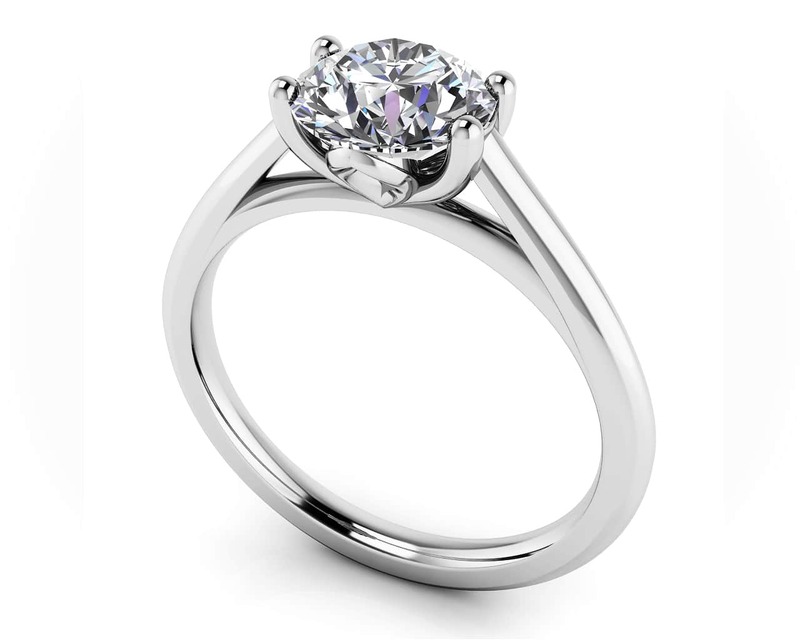 A solitaire diamond is prong set atop a channel of round diamonds with brilliant fire. 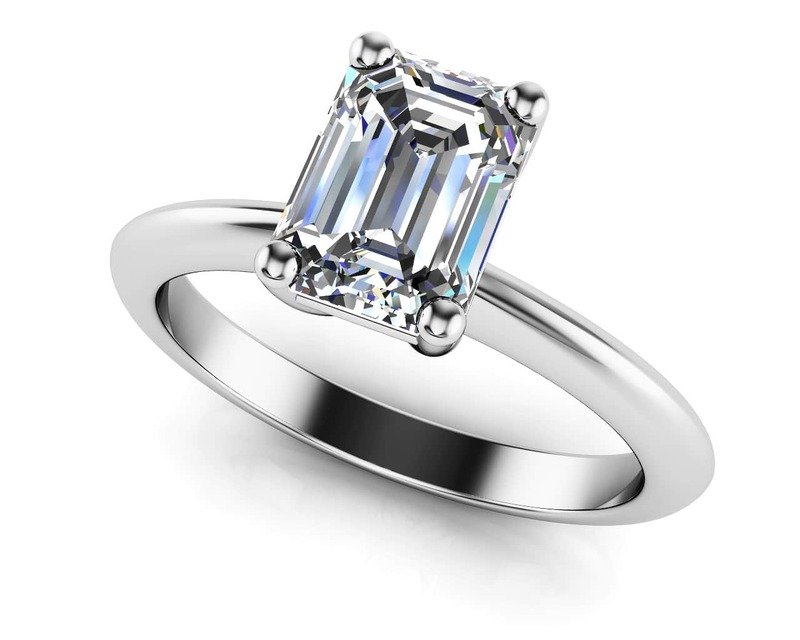 Select the center stone carat weight in your choice of gold or platinum metal. Stone Carat Weight: 18X.013 ct.